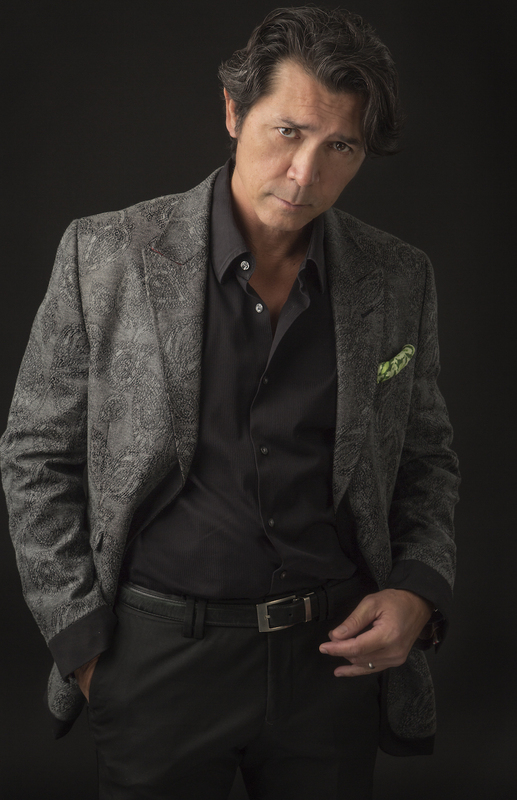 LOU DIAMOND PHILLIPS has enjoyed great success as an actor, director, writer and producer across myriad platforms, including feature films, television and theatre. Lou most recently starred opposite Antonio Banderas and Juliet Binoche in the Warner Bros film ?The 33? based on the story of the Chilean miners. On television, Phillips currently stars on the acclaimed hit drama ?Longmire,? based on the Walt Longmire mystery novels by Craig Johnson. Phillips plays Henry Standing Bear, Longmire?s closest friend. The show is currently airing on Netflix. He also recently played a pivotal role on the new NBC series ?Blindspot.? Phillips recently starred as Richard Ramirez in the independent thriller ?The Night Stalker,? opposite Bellamy Young, for award-winning writer/director Megan Griffiths. In addition, Phillips wrote and is starring in the play ?Burning Desire,? which will make its world premiere at the Seven Angels Theatre in Waterbury, Connecticut in early 2016. Phillips won the Best Supporting Actor Award at the 2013 Milan International Film Festival and Best Actor Award at the 2012 Imagen Awards for his performance as Jose Tonorio, a father struggling to provide for his daughters, in the Sundance Festival favorite ?Filly Brown? opposite Gina Rodriguez. The movie was also honored that year with the 2013 ALMA Award for Special Achievement in Film. Phillips is still perhaps best known to audiences worldwide for his breakout performance as Ritchie Valens in the 1987 smash hit ?La Bamba.? He solidified his place in Hollywood with the 1988 film ?Stand and Deliver,? for which he won the Independent Spirit Award for Best Supporting Actor and received a Best Supporting Actor Golden Globe nomination. In 1996, Phillips co-starred in Edward Zwick?s critically acclaimed drama ?Courage Under Fire,? for which he received strong reviews as well as a Blockbuster Award and a Lone Star Film & Television Award, both for Best Supporting Actor. He is also recognized for many of his other notable film credits, including Steven Soderbergh?s ?CHE,? ?Supernova,? ?Hollywood Homicide,? ?Young Guns,? ?The Big Hit,? ?Brokedown Palace? and ?El Cortez.? In the midst of great success in the film industry, Phillips took Broadway by storm in 1996, earning a Tony Award nomination, a Theater World Award and a New York Outer Critics Circle Award for Outstanding Broadway Debut for his performance as the King of Siam in Rodgers & Hammerstein?s ?The King and I,? which also received eight Tony nominations that year. He had the pleasure of reprising his role in 2014 at the renowned Princess Theater in Melbourne, Australia. He also starred as King Arthur in the 2007 national tour of ?Camelot.? On television, Phillips has been seen in recurring roles on ?Southland,? ?Cougar Town,? ?Stargate: Universe? and ?Numb3rs.? Other memorable television credits include: ?Chuck,? ?Psych,? ?Law and Order: SVU,? ?Wolf Lake,? ?The Beast? and ?The Triangle.? Phillips is a dedicated veterans? advocate and is currently the National Spokesperson for the Veterans of Foreign Wars. He is also the 1993 recipient of the Oxfam America Award for his dedication to ending world hunger. Additionally, as a passion project, Phillips hosted ?An Officer and a Movie? on the Military Channel. Phillips is also passionate about music and appeared in the 2013 MTV VMA-nominated music video ?Radioactive? for the Grammy Award-winning artist Imagine Dragons. Phillips? other passions include cooking and poker. As a cook, he is known for his American Fusion style, and for ?Sundays with Lou? on the set of his films, making glorious meals for the cast and crew as a way of bringing people together. He has also taken his talent to the celebrity cooking world and appeared on, and even won, numerous cooking competition shows, including ?Rachel vs. Guy: Celebrity Cook-Off? and ?Sauce Boss,? while also being asked to serve as a celebrity judge on ?Iron Chef America? and competing on ?Chopped Tournament of Stars.? In the world of poker, Phillips has hosted a home game for over 30 years and continues to compete in celebrity tournaments. The highlight, however, was making a deep run in the 2010 World Series of Poker, outlasting over 6,000 competitors to finish in the top 175. Phillips, originally born in the Philippines, was raised in Texas and is a graduate of University of Texas at Arlington with a BFA in Drama.